There are so many decisions and choices which must be made planning weddings, parties or whatever your special occasion is. Many things must come together so that your special day is perfect. With so many other things to worry about, music doesn’t have to be one of them. 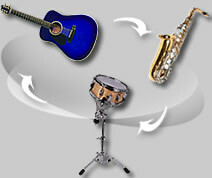 AdvancedSoundz offers a wide range of technical skills and equipment to meet a wide array of audio needs. We have the latest high tech digital audio and lighting equipment. Let us at AdvancedSoundz take care of all your audio needs. Our team is comprised of talented individuals who can meet your audio needs. Not only are we skilled at the microphone DJ and Emcee skills, we are also accomplished musicians.